NEW HOME WITH BUILDER'S 2-10 LIMITED WARRANTY! 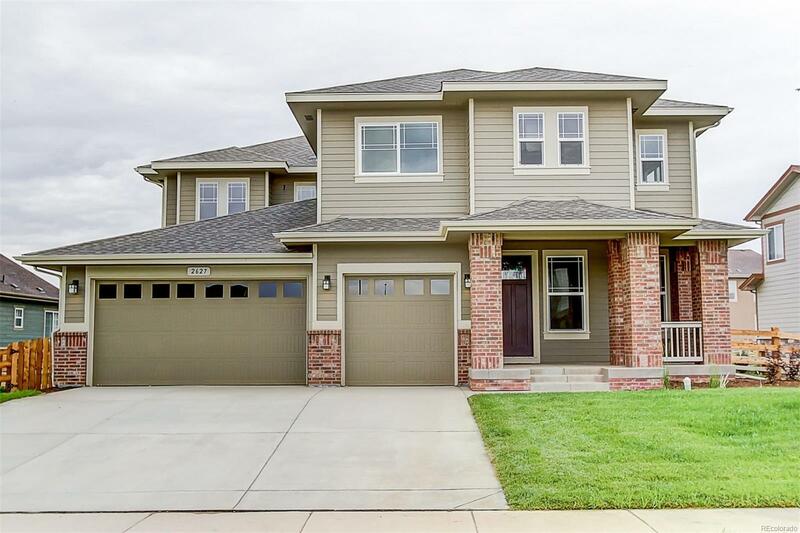 THIS BEAUTIFUL TWO STORY HAS 5 BEDROOMS + STUDY AND 4.5 BATHS, AN AMAZING GOURMET KITCHEN WITH LARGE PANTRY OVERLOOKING THE GREAT ROOM THAT BOOSTS A CATHEDRAL CEILING WITH GAS FIREPLACE. INCLUDES A SPACIOUS DECK. FULLY LANDSCAPED INCLUDING FENCE AND IRRIGATION. HURRY THIS ONE WILL GO QUICK. A MUST SEE HOME AT A GREAT LOCATION. PHOTOS ARE REPRESENTATIVE AND NOT OF ACTUAL HOME.